Fully engage in the beauty of the sea with our pair of dolphin heart earrings. This whimsical pair of gold dolphin earrings are set in 14 carat gold with a polished finish. The decadent dolphin measures 10mm in length and 8mm in width and make the perfect way to celebrate the seasons. 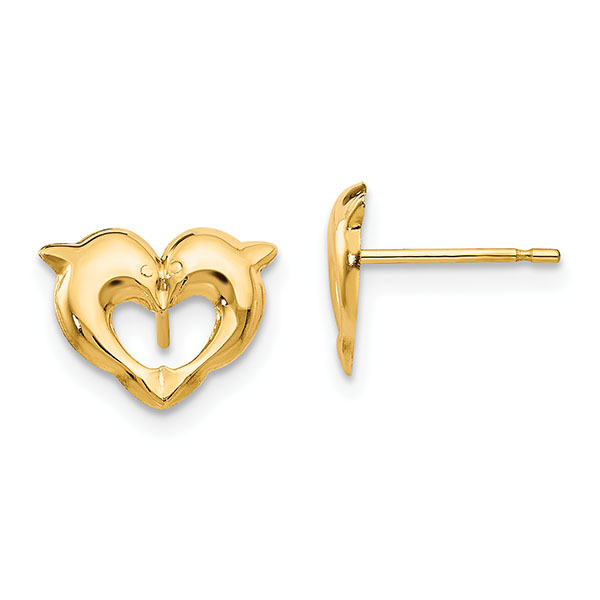 We guarantee our Dolphin Heart Post Earrings, 14K Yellow Gold to be high quality, authentic jewelry, as described above.